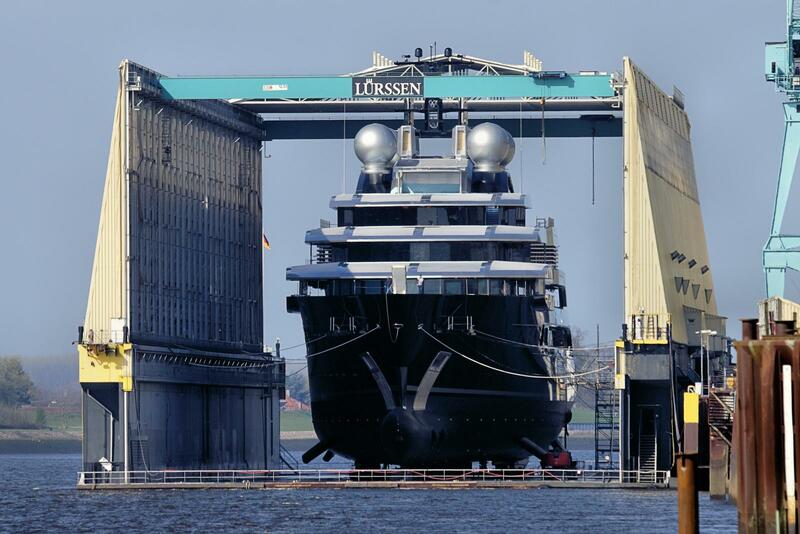 Measuring over 120-metres (393’7"ft), the brand-new superyacht Project Thunder has today launched at the Lürssen Yachts shipyard in Germany for a career cruising Asian waters. 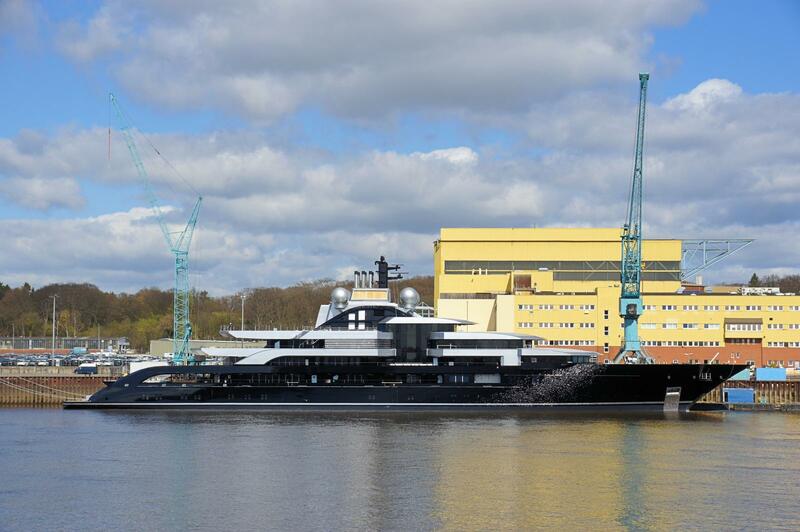 Now confirmed by the yard, the highly-confidential Project Thunder was spotted in the shed on Sunday and emerged from the yard in Bremen this morning; grasping headlines thanks to its mysterious nature, futuristic style and imposing size. The project name ’Thunder’ is derived from Leigong, a mythical god in Asian culture and hints at the interesting future of the vessel, reportedly cruising mainly Asian waters. With an official name still a secret, Project Thunder will be delivered towards the end of 2018, taking only 24 months in build from the start of construction. 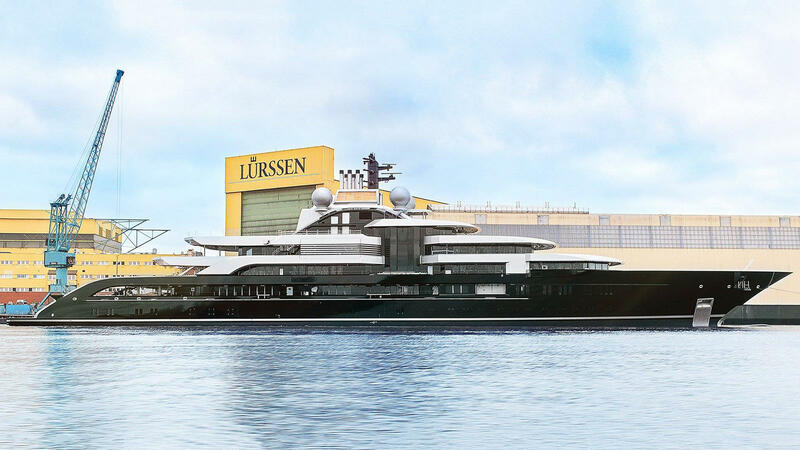 Furthermore, the other details provided by the yard surround the traditionally styled interior which is due to be installed in the coming months before the yacht undergoes extensive sea trials. 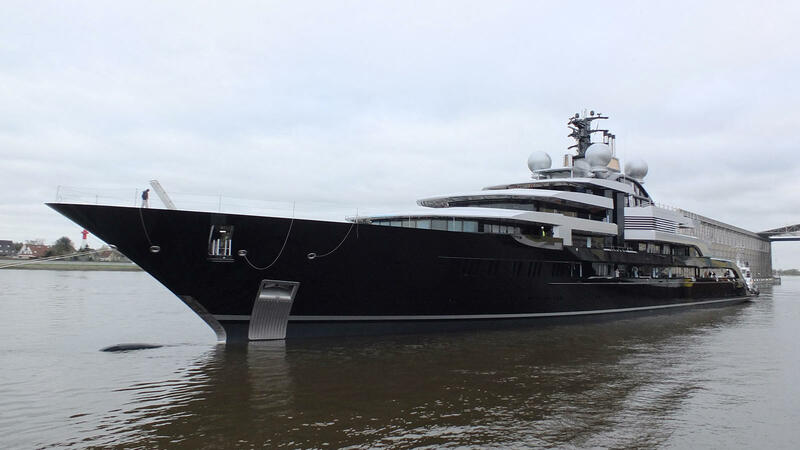 In terms of exterior design, this superyacht has all the makings of a classic Espen Oeino and Lürssen Yachts collaboration when looking directly at the bow; however, her cutting-edge profile is angular, modern and features a mid-ship break for, what we can only imagine to be, an atrium or full height window. 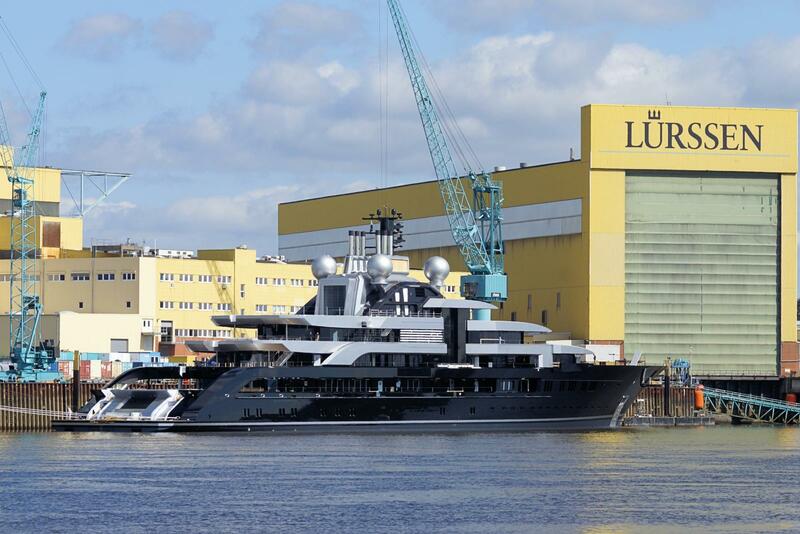 This is a truly unique member of the Lürssen Yachts fleet and an exciting new Top 100 project, taking 17th position in the Largest Yachts in the World rankings following her introduction to the water. We look forward to bringing you more photos of the project on the water as well as insights from her creators as the story progresses.